Shaw LifeGuard Carpet at The Carpet Gallery Inc. Carpet that stops stains from going through to the pad?!! That would solve a lot of problems!! And The Carpet Gallery Inc. has it!! ​New LifeGuard carpet from Shaw protects your pad! The surface has R2X technology to make clean up a breeze! No more questionable smells coming from underneath your carpet! A must-have if your home has pets or children. 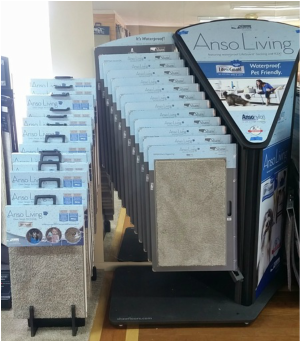 Stop in and see this new revolution in flooring!